This Labor Day, we were invited out to my brother's farm. 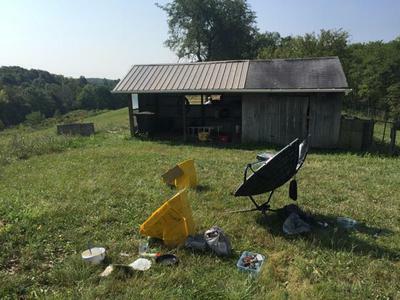 It was nice to get away to plink some targets in the backyard while we waited for lunch to cook in the sun! While the rest of the family was cooking in the kitchen, I baked coffee cake and sausages next to the shooting range. It was nice to have something to nibble on while we waited for the main meal of the day! The coffee cake was just a regular Krusteaz cinnamon swirl coffee cake from the grocery store. It takes about half an hour in a regular oven, it took a little over an hour to do in the ASSC. This was not in perfect sun conditions, so your mileage may vary. The next thing I would like to try is a pound cake that I found in the "Promote Solar Cooking in your Community" facebook group. Stay tuned for that. Easy to make, bakes @300 degrees...perfect for the next outing at the park. 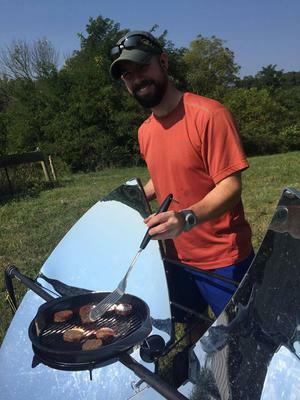 Sausages were easy to cook on the SolSource. My brother had some venison that I might be interested in cooking up in the future. While we were there, it was already being cooked up in their traditional oven. 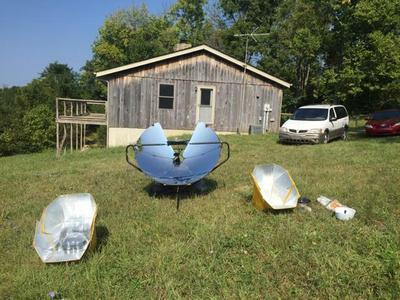 My brother and his family are open to the idea of solar cooking, due to the simplicity and the "crock pot" factor. They are also very much into living conservatively, with rain-barrels and composting on the property. I'm looking forward to doing more experiments there. I can concur with that kind of living as well, more sustainability and more conservation would do wonders for our pocketbooks as well as our resources. 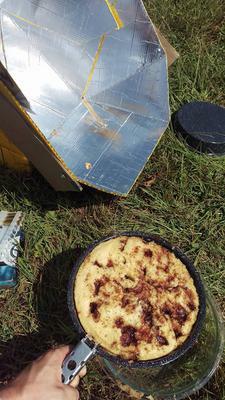 That is why solar cookers fit in so well with this lifestyle. I solar cook for both reasons.